With operations in India and the Middle East, Sobha has, since its inception, delivered over 89.64 million square feet of real estate projects, and is currently at work on 71 projects with a developable area of 101 million square feet. In India, where Sobha Limited is a listed entity, it was recently declared by the 2016-17 Brand X Report to be “the top national realty brand across asset class” for the third consecutive year. In contrast to that, Sobha is a relatively new entrant in the UAE’s real estate space, but the developer has still managed to garner quite a lot of attention and interest for its current projects, which include the US$4 billion Sobha Hartland and the $8 billion Meydan Sobha District One developments in Dubai. With regard to the current state of the real estate market, Menon notes that while there may have been challenging times in the past year, he’s expecting an uptick in activity in 2017. “The real estate business is cyclical, the world over; it’s not only Dubai,” he explains. 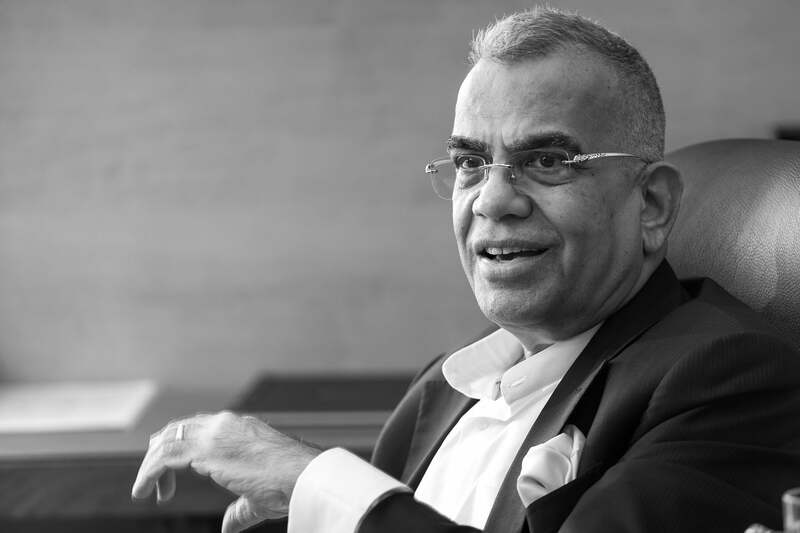 “According to me, this year, we have gone into a positive cycle.” This, of course, bodes well for Sobha as an enterprise in the UAE’s real estate sector, where it hopes its finesse and expertise (Menon notes the company’s capabilities as a backward integrated institution as being one of its main differentiators), as well as the uncompromising quality of its products, will help it become a market leader in this particular space. A Sobha Group residential project. Of course, Menon’s track record so far does tip the odds in his favor- after all, Menon’s now legendary success story began with the Indian entrepreneur arriving in Oman with only seven dollars to call his own in 1976. With borrowed capital, he set up a small business that dealt in furniture and interiors on the streets of Muscat, and this outfit grew slowly (but surely) into an enterprise that became known for its quality of work. 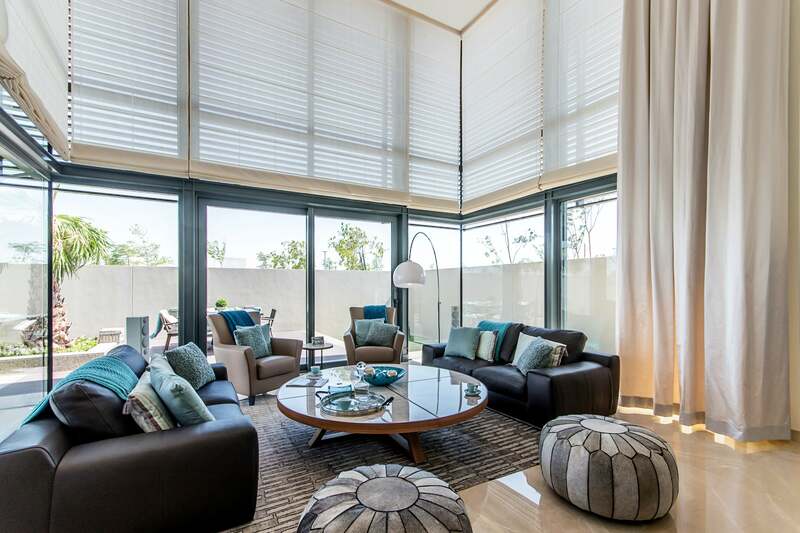 As time passed, the company began securing a number of noteworthy interiors contracts, including projects from the Sultan’s office, which led to its next phase of growth. As the business solidified its presence in the Gulf, Menon then made a move into India’s property sector by setting up Sobha Limited in 1995, which has since become the country’s third largest real estate development company, in terms of total square feet delivered. In the meantime, Sobha also made its entry into the UAE’s real estate scene in 2003, with the Dubai-headquartered company focusing primarily on residential and commercial projects. Menon’s refusal to budge from the high standards he has set for the company has also led him to have a reputation, among some of his staff at least, as he himself put it, of being “a terror.” Sobha Group President Jyotsna Hegde tells me that there were times not too long ago when Menon would lose his cool at subordinates who, say, had made a mistake, or hadn’t ascribed to the same level of perfection he believed in. Did it work? “I have now completed 10 months without shouting,” Menon says, happily, with Hegde confirming the veracity of this statement. Of course, this is just another testament to Menon’s psyche- he just needs to be convinced of the rightness of a particular course of action. And once he has done so, it’ll be hard to budge him even a little from that particular path- a quality that seems to have kept him on the right track for all his years in business.